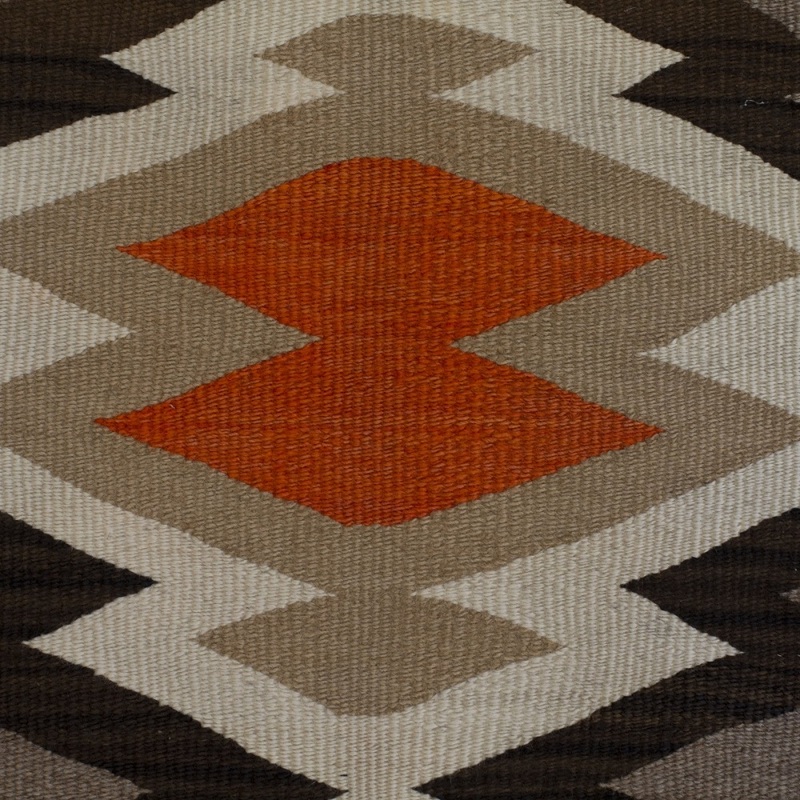 This beautiful rug comes from the Crystal Trading Post area of the Navajo Nation. 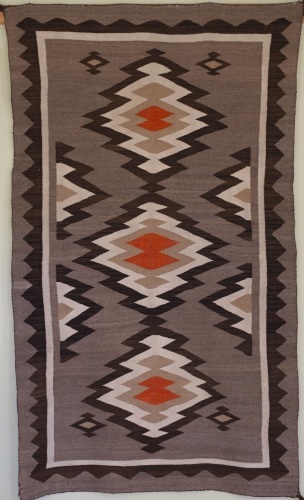 During the J.B. Moore period of the trading post, the weavers were very prolific and exceptionally skilled. There are fewer weavers today from Crystal, but they are equally skilled. 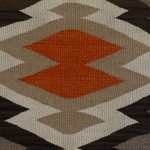 The wool of this rug is soft and fine, mostly likely from Merino sheep. The browns in the border are beautiful. The wool is all hand spun and of natural colors with the exception of the red dye. It is in excellent condition.